We are pleased to announce that the Managing Director of Airey Taylor Consulting, Peter Airey, has been appointed as a Consultant to the review committee for AS 4678 Earth Retaining Structures. Following nomination from the local President and Committee of Engineers Australia, Peter will bring his knowledge from decades of engineering design experience to enhance the standard of practice in the Australian construction industry. In 2018, the firm Advanced Substructures Limited was launched from Peter’s extensive design knowledge of foundations, substructures, and retaining structures. 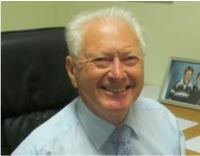 Some of his innovations have resulted in National Engineering Awards; including a National 1998 ACEA Award for his work on remediation of structures built upon clay-based soils (later resulting in the Claylock and Retroclay systems), and the Overall National Winner of the 2011 Engineers Australia Excellence Awards for his work on the complex structure of the State Theatre Centre of WA. Further awards and accolades have followed for his projects with leading-edge foundation and substructure design. His knowledge of retaining structures and designs are second-to-none in the Australian construction industry, and form a core part of the offering of Advanced Substructures Limited. Peter continues to use this knowledge on designs commissioned with Airey Taylor Consulting. He will be serving in an advisory capacity and bringing his decades of design experience to a well needed review of the Australian Standard, joining other leading authorities to ensure our nation’s industry standards reflect current best practice. For more information contact us on (08) 9265 0400.